Uniden announced the ES VHF series over a year ago, but the UM525 and UM625c above (bigger here) didn’t materialize until fairly recently, and the UM825 is still missing. It bothers me to have written about gear that wasn’t really available, but, wow, it’s hard not to like these radios. The color model is particularly noteworthy. Like the Navman/Northstar pilot, color seemed to really stimulate interface design creativity. The 625c does all sorts of things you’ve never seen in a VHF, but yet is very easy to use. It also sounds good. So do the accessory WHAM 4X wireless mics, which so far have met my expectations. You can wander hundreds of yards from the base while still controlling it, (as long as there’s not a serious 2.4 GHZ blocking wall in the way). You can also intercom to all or individual stations, as shown on the screen. I’ve got further plans for these and some other test radios—more DSC calling, GPS hook ups, setting up the two bases as a network, etc.—which I’ll report eventually. 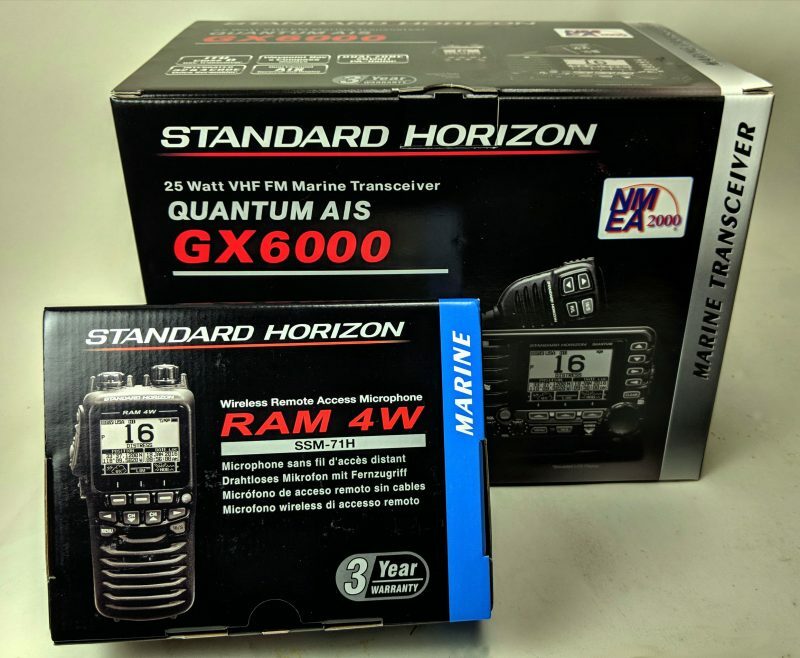 In the meantime Chuck Husick has published his own findings on the 525 and Whams in Yachting, but note that he got confused about the mics (these radios can support 4 Wham4X mics, not 2). Regarding the Uniden UM-525ES radio: If you plan to purchase the new “ES” series (2nd generation of Uniden’s VHF “DSC” radios), be sure, when you order, that you are getting what you expect. Most of the websites show UM-525 (1st gen) and list the same features and an “ES” series. If you want an “ES” series, the radio is labeled ‘Uniden ES’ on the upper left of the front panel. The “ES” is improved model. Tom Edwards comment about UM-525 ES does not seem to be correct. It is true though that you can find versions with and without the ES on the front. I therefore contacted UNIDEN USA’s Customer Service to ask if there were or had been two different versions of the model. Their reply is that there is only one version; the units are identical on the inside, irrespective of whether it says “UM-525 ES” or “UM-525” on the front. It’s cosmetics only. Hi , my name is Tony I have the VHF Uniden ES and I’m missing the antena and the batteri for the little portable one , do you know where i can find it , thanks for your help . Hi , my name is jess I have the VHF Uniden ES and I’m missing the antena and the battery for the portable one , do you know where i can find them , thanks for your help .